Everything you need to know to get where you want to go with a psychology major. With good advising, hard work, and focused energy, undergraduates majoring in psychology have before you a future full of amazing possibilities. 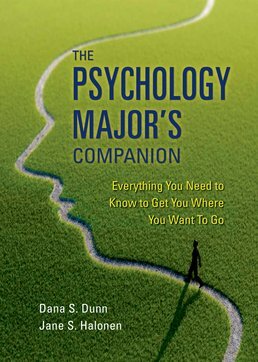 The objective of this book is to help you to declare the psychology major if it is in your best interests to do so, to learn strategies regarding how to produce the best in your major experience, and to prepare for either graduate school or a psychology-related professional life. To create this guide, authors Dunn and Halonen drew extensively on experiences with their own students, as well as interactions with colleagues. The chapters speak to a full range of students, including both traditional students and adult learners. 3. Should You Major in Psychology? 9. What Options Are There for Students with a B.A. or B.S. in Psychology? 10. What Can You Do with an Advanced Degree in Psychology? 11. How Do You Apply and Get Into Graduate Programs in Psychology? Dana S. Dunn is Professor of Psychology and Assistant Dean for Special Projects at Moravian College in Bethlehem, PA. He earned his PhD in experimental social psychology from the University of Virginia and his BA in psychology from Carnegie Mellon University. A Fellow of the American Psychological Association (APA Divisions 1, 2 and 22) and the Association for Psychological Science, Dunn is active in the Society for the Teaching of Psychology (STP - APA Division 2) where he served as President in 2010. In 2013, Dunn received the Charles L. Brewer Distinguished Teaching of Psychology Award from the American Psychological Foundation and in 2015 he was the APA’s Harry Kirke Wolfe lecturer. He is a member of the editorial boards of several journals and is a frequent speaker at national and regional psychology conferences. Dunn is past board member of the Eastern Psychological Association (EPA) and formerly served on the Program Committee for the National Institute for the Teaching of Psychology (NIToP). The author of over 150 articles, chapters, and book reviews, Dunn writes about the teaching of psychology, the social psychology of disability, and liberal education. He is the author or editor of 20 books and writes a blog on the teaching psychology called "Head of the Class" for Psychology Today. He is currently Editor-in-Chief of the Oxford Bibliographies (OB): Psychology. 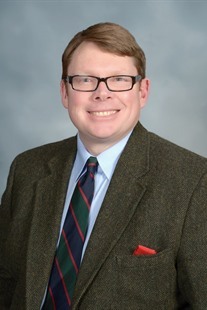 At Moravian, Dunn has held various leadership positions, including serving as Chair of the Department of Psychology for six years and Acting Chair of the Department of Philosophy for three and one-half years. 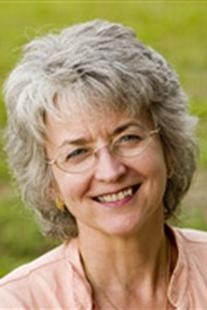 As past Director of the Learning in Common (LinC) Curriculum, Dunn oversaw Moravian’s general education program. Jane S. Halonen has been a Professor Psychology at the University of West Florida for over a decade. She has been fortunate also to have great professional families at James Madison University and Alverno College where she was lucky enough to cross paths with the talented Cynthia Gray. Jane’s research most recent research emphases have been on helping good departments become great ones as well as trying to help legislators understand the true nature of psychology in tough economic times. Jane has been involved over the course of her career with helping the American Psychological Association develop guidelines or standards of academic performance from high school through graduate levels of education. In 2000, she won the Distinguished Teaching Award winner by the American Psychological Foundation and the American Psychological Association named her an “Eminent Woman in Psychology” in 2003. She served as the Chief Reader for the Psychology Advanced Placement Reading from 2004-2009. A self-identified “teaching conference junkie,” Jane served on the NITOP Board and has presented at nearly every regional teaching conference in psychology. With Peter Seldin, she also co-directed the International Conference on Improving University Teaching from 2001-2008.